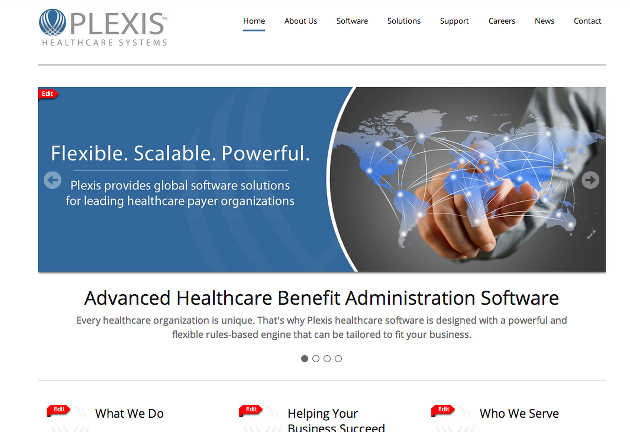 Plexis is a software company which provides high-end healthcare software for large government and private clientele. We were hired to modernize their online web presence to reflect the innovation for which the company is known. We began with a full redesign of the site into a modern, Web 2.0 content management system. We simplified many processes, such as job postings, blogs, and social integration, allowing a removal of a “new content bottleneck” that so commonly affects companies. We also helped establish a SEO keyword strategy and a social/PR plan alongside their marketing department. Working with Plexis has given us a full end-to-end expertise in online branding. We have both gained much from the relationship. “Plexis has worked with Sean Smith for many years now, and have been very impressed with Sean”s SEO/SEM knowledge, and his ability to keep up with this ever-changing technology and discipline, and his ability to counsel us on how best we can/should proceed with modifications to our site, its content and our electronic press releases, all for the purpose of enhancing and increasing the effectiveness of our SEO/SEM.” – Sean Garrett @ Plexis.